Four Corners' El Super Bee De Saison Flows With Booze And Honey. 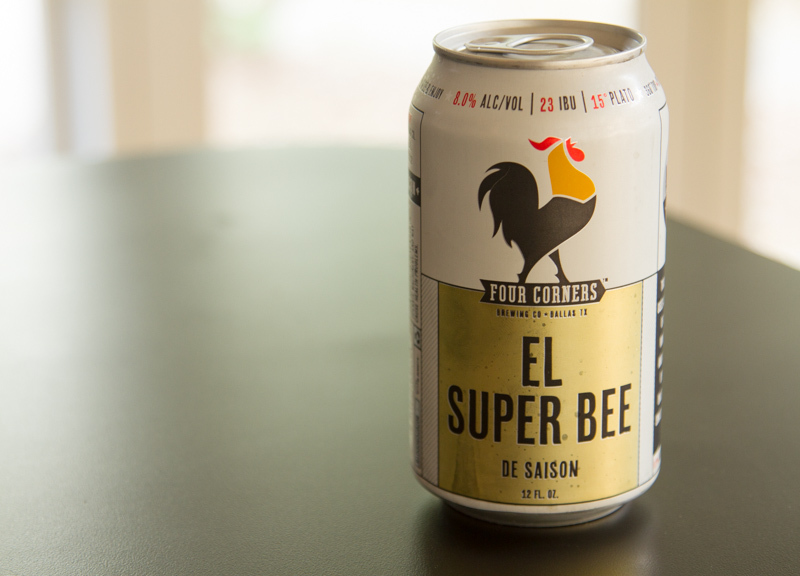 This week, we sipped on Four Corners Brewing Company's El Super Bee De Saison. 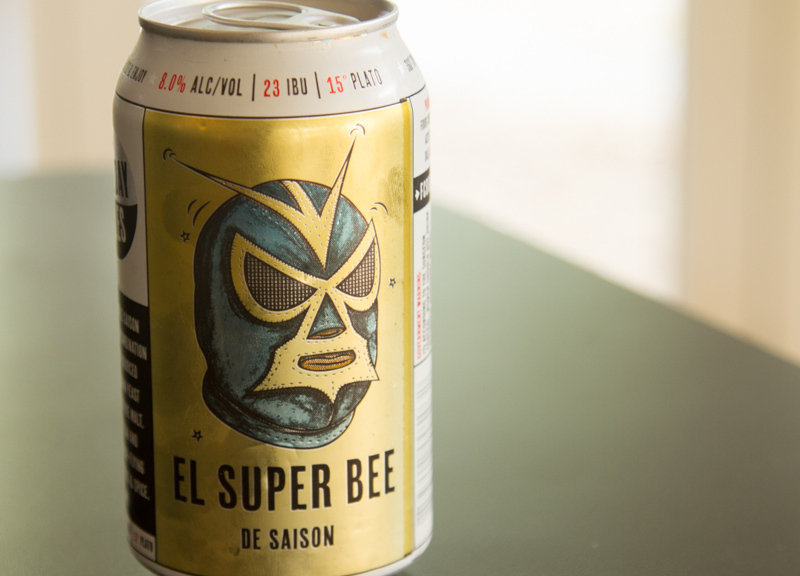 Fast Facts on Four Corners Brewing Company's El Super Bee De Saison. Four Corners has been quietly anchoring Dallas' Trinity Groves neighborhood with its suds for a few years now, and all indications point to this being the case for many more to come. Through the course of many visits to the brewery, I have seen its operation expand incrementally a few times over. It's nice to see a brewery grow, while at the same time not over-expanding and outgrowing its britches. In this review, let's focus our attention on El Super Bee De Saison (let's just call it Super Bee from here forward) and see if it can compete with the brewery's much-loved and very kickass robust porter, Block Party. Saison is an effervescent Belgian (and sometimes French) style known for its classic funk and bite, along with citrus and spice flavors. The word saison means season in French, as this style was traditionally brewed in the cooler months of spring for later enjoyment in late-summer and at harvest time. Many brewers used what they had at their disposal at the time of brewing, including dried orange peels and other citrus, along with other dried spices. And thank goodness for that, because this style is a feast for the pallet. Super Bee is excellently clear. 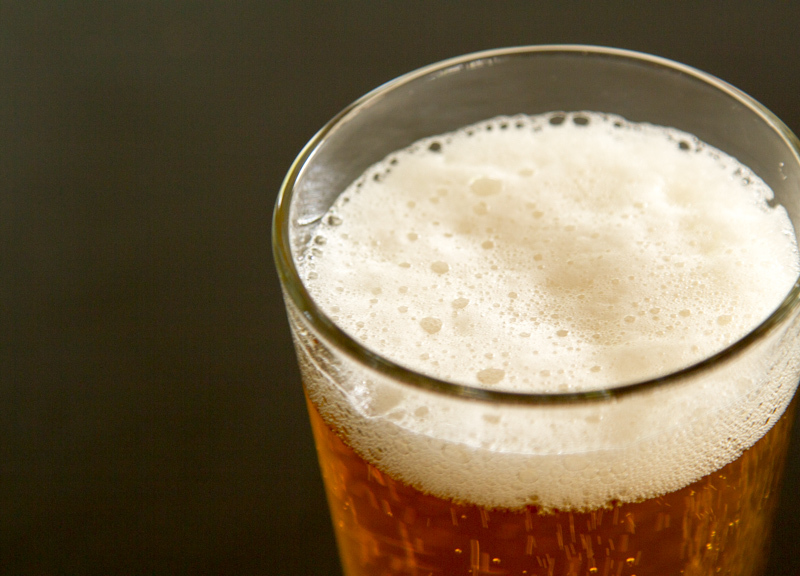 Belgian yeasts — especially saison yeasts — are known to be good flocculators. Say what? A yeast that flocculates well means that when it's done eating sugars, it plays nice with other yeast bits, clumping together and slowly settling out of the beer. But based on the apparent clarity in the glass, Four Corners probably filters the beer anyway. So enough about the flocculation. 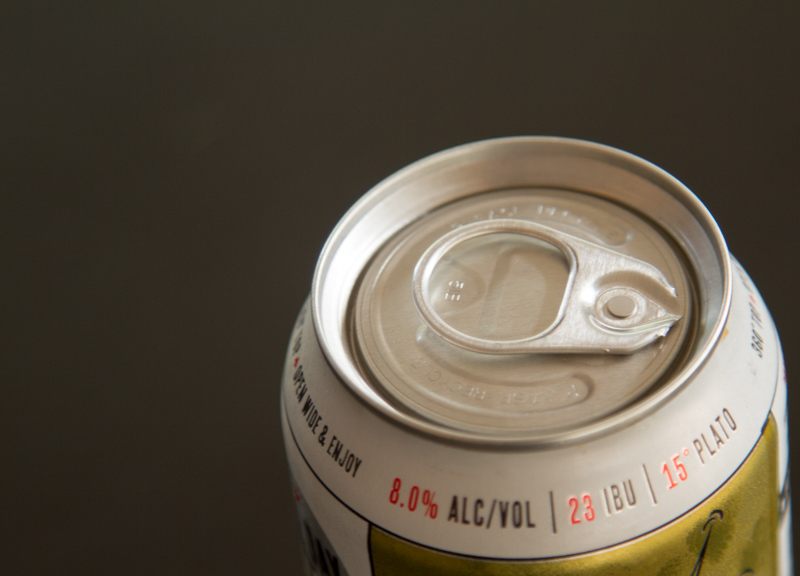 At first, there is a lovely, almost rocky white head atop the pour from can. But it slowly turns to nothing, leaving nary a trace of lacing down the side of the glass. Citrus and honey play off each other in a slow echo. Behind these two aromas comes a sharp, peppery hint, along with a moderate booze note. Compared to your run-of-the-mill pale ale — and even some saisons, for that matter — Super Bee excels in the aroma category. The aromas intertwine and fight for attention, sort of like two women wrestling in a sexist Miller Lite commercial. Just like the aroma, Super Bee boasts several competing flavors, each with strong personalities of their own. Once the biting carbonation on the tongue gives way, a slight warming sensation takes over. 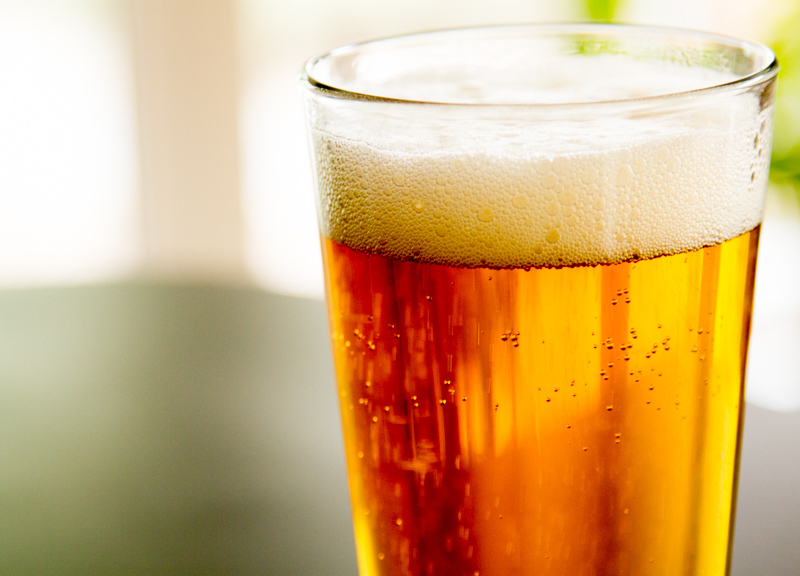 There's no getting around it: There is a boozy note to this beer. But it is blended nicely with the citrus, spice and Belgian funk. After the boozy sensation fades, sweet honey notes shine through. As the beer warms, the honey flavor intensifies and the beer tastes sweeter. And yet, even as the beer warms, I don't get any off flavors. There is hop bitterness present in this beer, but the hops play a lesser role in the aroma and flavor, so I'm not focusing much on it and neither should you. But what's up with the honey? Well, this beer was probably a spin-off from Four Corner's Local Buzz, a honey blonde ale. Only, with Super Bee, Four Corners upped the sugar content in a substantial way. With more sugar comes more fermentability and higher potential alcohol. 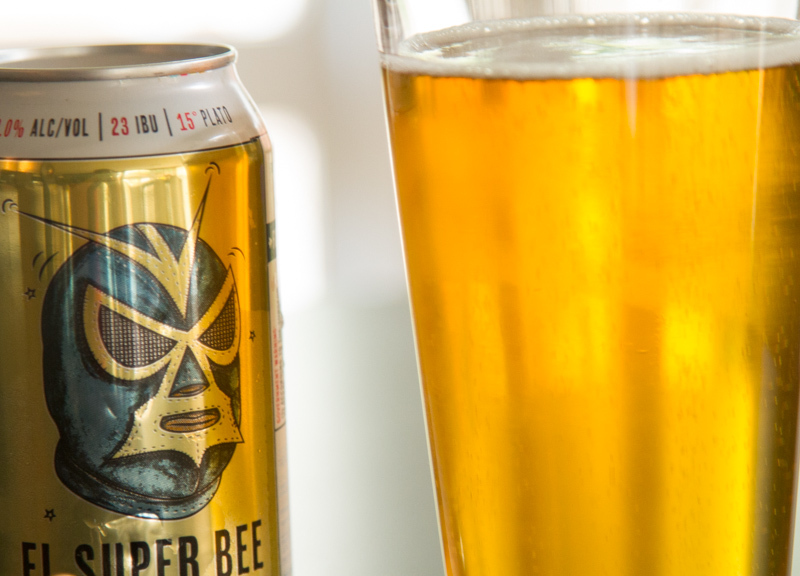 And, at 8 percent ABV, Super Bee means business. There's a lot going on here, so let's break it down. First, there's a flooding rush of malt that feels velvety and smooth on the palate. What gives it that velvety feeling? Well, perhaps it's the rye malt used in the beer. Next, let's talk about that tingle on the tongue, because it feels exciting! The medium-to-high level of carbonation in Super Bee feels interesting — although, as I finish the beer, the carbonation dissipates a little bit more quickly than I hoped for. (I guess I need to drink faster?) 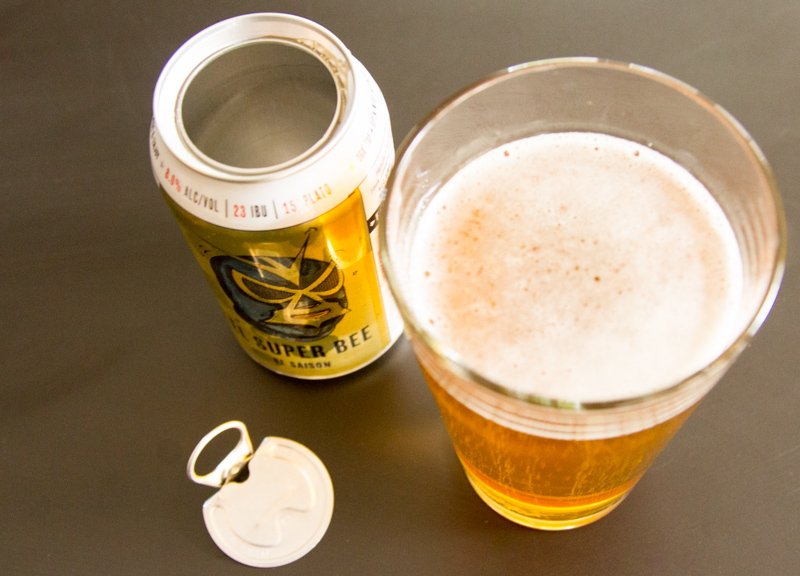 Super Bee's finish is incredibly dry, even with its healthy dose of honey flavor. And that's impressive due to its 15-degree Plato original gravity. In other words: Before fermentation, this beer (wort) is quite sugary. And if its 8 percent ABV is accurate enough for Four Corners to print it on the can, and if my math is correct, then this beer fermented out almost completely. In my opinion, saisons should finish dry. It makes for better drinking. I like Super Bee. I was pleasantly surprised when I first saw it on the menu a while ago at Local Oak. This beer is definitely a contender when it comes to selecting a drink order, especially in warmer months. Saison is typically not on my radar during the cooler months, but it's nice to review this beer as the last hot days of the year transition to cooler weather. What's missing? What would I change? Well, if it would be anything, maybe it's the honey? Honey is not a popular addition to a saison. But I like it, and it's fun. OK, no, I would not change the honey. Maybe I would turn down the booze a little bit? This beer is a tad on the hot side, I'll admit. It's almost a helmet beer. On a scale of 1 to 10, I'd give Four Corners El Super Bee De Saison a 7.5. • Saturday, October 10. Oktoberfest at Cedar Creek Brewery. • Saturday, October 10. Ratrod, Hotrod and Moto Show at TUPPS Brewery. • Saturday, October 17. Microfest at Old Jail Park in Royse City. Previous ArticleThings To Do On Thursday, October 8.